This wedding was supposed to happen in Austin, Texas. Seriously. My wife Rachel and I met Mallory and Clay as they were planning their nuptials in the Hill Country of Texas. As we learned about their love for adventure that included ice climbing in Colorado and spear fishing in the Caribbean, we began to get the feeling that Austin didn’t really fit the vibe of their wedding. Thankfully, ACL weekend (think: massive concert in Austin, gobs of people, traffic, and hotels full) was scheduled the same weekend as their wedding date, and Mallory and Clay asked my wife Rachel and I if we had ever been to the (self-proclaimed) “Switzerland of America”: Ouray, Colorado. 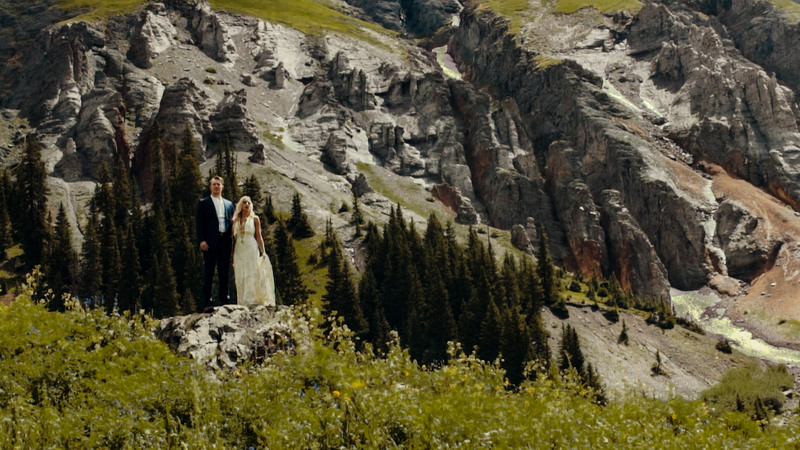 Plans were changed, flights were booked, and suddenly the big Austin wedding in the Hill Country, became a much smaller and more intimate family wedding in the mountains surrounding Ouray. The lavish wedding venue was replaced with a cliff overlooking a lake, hotels were traded for a VRBO that fit the entire wedding party including guests, and white water rafting was scheduled as a pre-wedding activity. Mallory and Clay made their wedding weekend their own, and this trailer gives just a hint of the time we spent together. We left the weekend feeling like family, and we are very excited to share with you their full film soon. 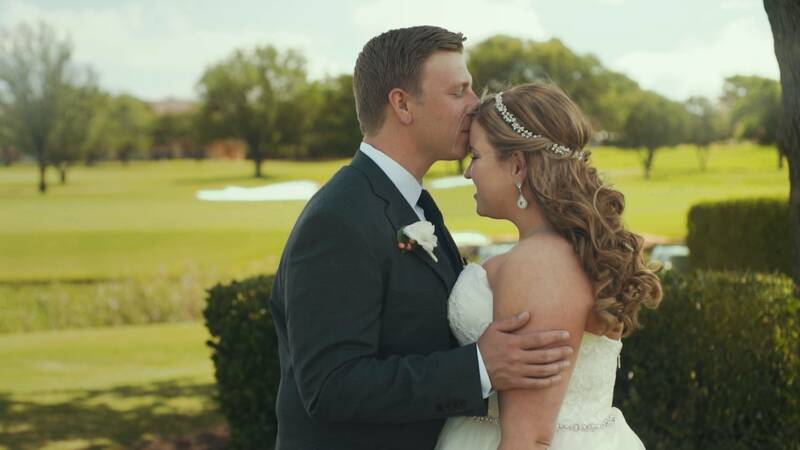 Whether you are getting married in Austin, Colorado, or anywhere else, as long as you are making your wedding day your own, we would love to film it. Please get in touch. When we first met with Melanie and Garrett, our conversation happened over a three-way Skype call. With both of them in school for their MDs, as well as planning a wedding, to say their lives were a whirlwind leading up to their marriage may be an understatement. 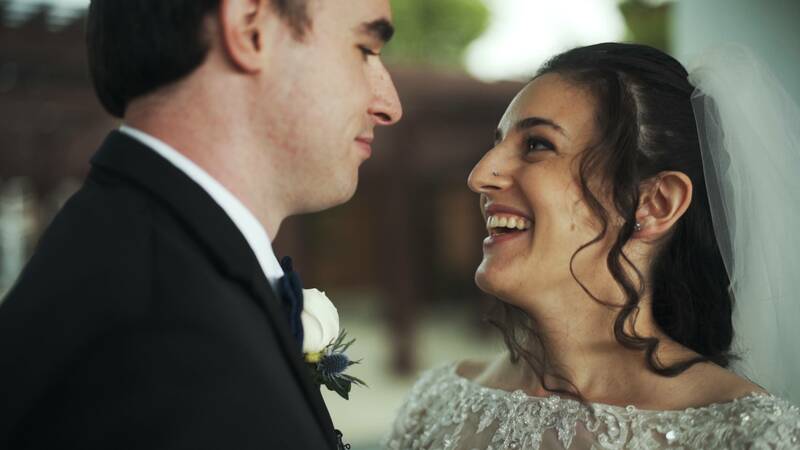 We were incredibly excited to speak with them though, because they were our first Jewish wedding. With no idea what to expect, we were educated on all facets of Jewish culture, complete with Ketubahs, Yarmulkes, and Chuppahs, and a bit of Challah bread too. As I am sure you can see from the trailer above, this film was a bit different than our other films, but we love different, and we love Melanie and Garrett. Getting married? We would love to talk about filming your wedding! My wife Rachel had three roommates in college, and now as of this wedding, I have filmed two of their weddings (still holding out hope for number 3, Mattie-Ruth!). Normally when we film weddings, we sit down with the couple over dinner and hear the entire story of how they met, fell in love, and decided to get married. For Lauren and Matt though, things were a bit different because we have been there to witness their entire relationship (which we totally saw coming by the way). To sum it up, they wrote and performed songs together, which basically requires them to fall in love*. Witnessing two of our good friends joining their lives together in a moment that we were all hoping and waiting for made their wedding day all the more special for us to film. Are you marrying your best friend/duet singer? Even if you don’t make beautiful music together, we would love to film your wedding. Please get in touch! *Citation, See: Tim McGraw and Faith Hill, Johnny Cash and June Carter Cash, Sonny and Cher, Jay Z and Beyonce, and (unfortunately), Avril Lavigne and Chad Kroeger. Five years ago, at a small Catholic college in St. Louis, Missouri, Kathleen met Michael. A chance meeting at a sorority party their senior year led to dates, competitive Catan game nights, and an eventual move for Michael from St. Louis to Texas so they could be together. It was this move across state lines that made them both realize they were ready to spend the rest of their lives together. 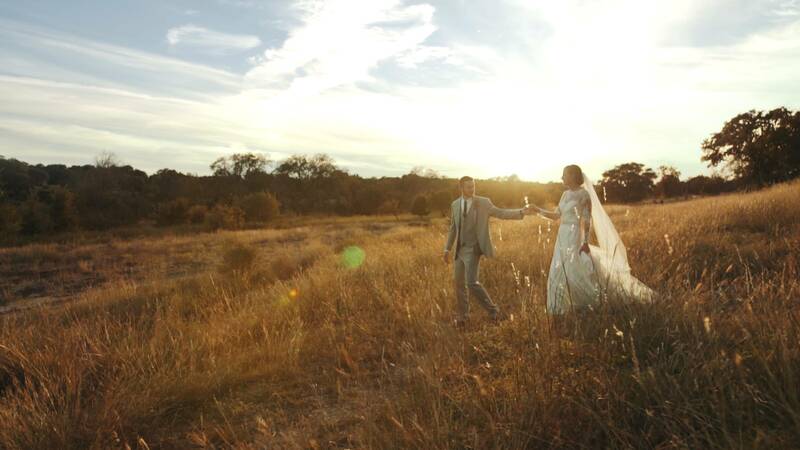 This May, they made it official, with an unmistakably Texas wedding, set in the heart of Austin. They said their vows barely a stone’s throw away from the Capitol, and proceeded to dance the night away with both a Texas Country band and a DJ flown in from Los Angeles. Getting married in Austin or anywhere else? We would love to film it! Please get in touch. Our friends Sarah and Chris are what Rachel and I like to call “undercover awesome”. I first experienced this phenomenon when I met Sarah my sophomore year of college. She’s one of those people that once you meet them, they keep popping up in conversations until it reaches the point that you wonder if they know everyone on the planet. True story: there were times on campus that I would name-drop Sarah when I met someone new, thus instantly befriending them. Undercover awesome. Years after college, Sarah met Chris, and then Rachel and I had the pleasure of meeting him too. Put a saxophone, guitar, piano, accordion, or Microsoft Excel in front of him and he will quickly prove he can make music (or spreadsheets) with all of them. Undercover awesome. If you’re at a party with them, you won’t see them as the center of attention, dancing on tables, or causing any sort of scene. But if you mention their names to anyone, there will immediately be a glow of recognition, a story about them, and lots of laughter. Their laid-back vibes, insurance sales, and accounting lifestyle belie two of the coolest people in the room, and two of the coolest people Rachel and I have had the pleasure of filming. I guess this film means their awesomeness isn’t quite so undercover anymore. If you’re getting married (and especially if you are undercover awesome), we would love to film it, please get in touch.